I actually finished piecing it in the car last weekend, which is nice because it started as a car project. 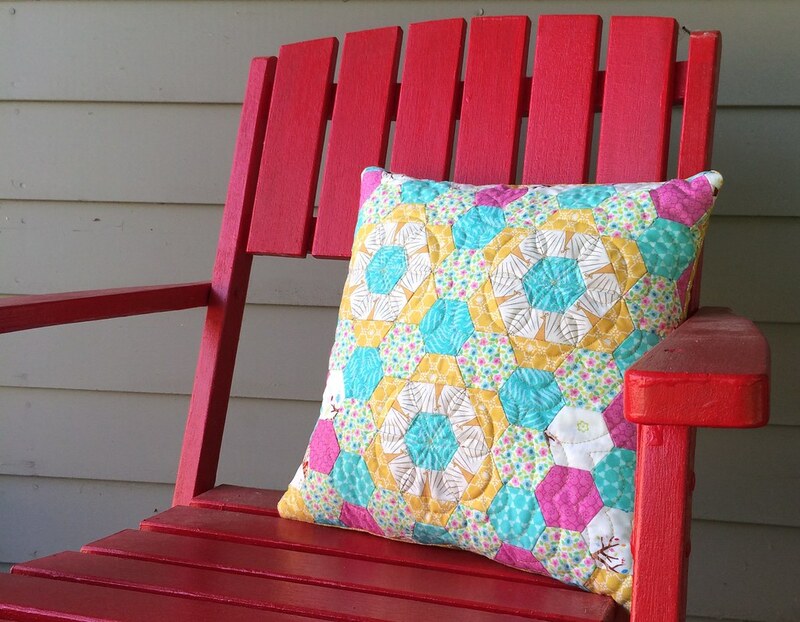 I had stalled on my endless red hexagon quilt project, and Easter was coming, and we were traveling to see relatives. 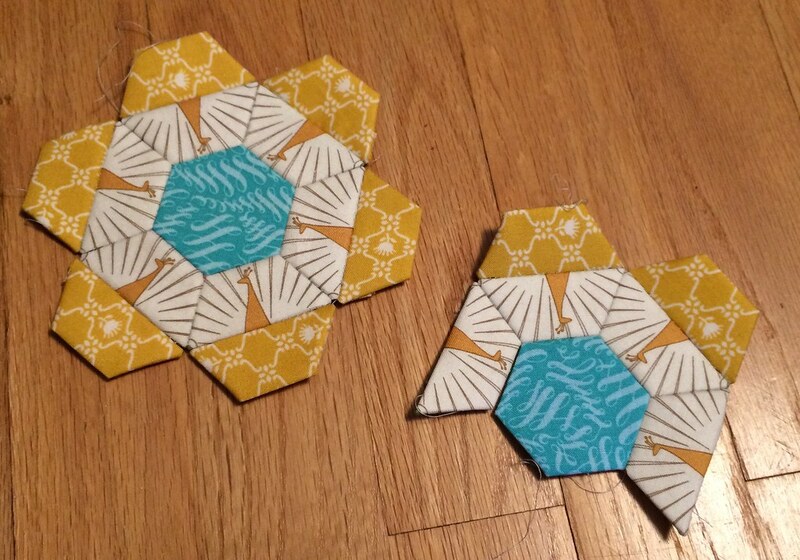 So, I pulled out some half hexagons I'd gotten from PaperPieces.com and some fabric chosen quickly from my stash and went. Here is an on the road picture of my progress. By the time I got here, it was not much of a car project anymore. Because of the symmetry, I wasn't comfortable working when it could not be spread out before me. Then I added some pink because it needed something. I started carrying it around with this square of fabric I'd cut to the ideal size (the size to fit the only unused pillow form in my stash) for the pillow so I'd know how many pieces I'd need to add. And it stayed by my elbow for awhile, until only a few pieces remained to be pieced, then I finished it up on the drive to Chicago last weekend. I basted it by fusing (so easy!) 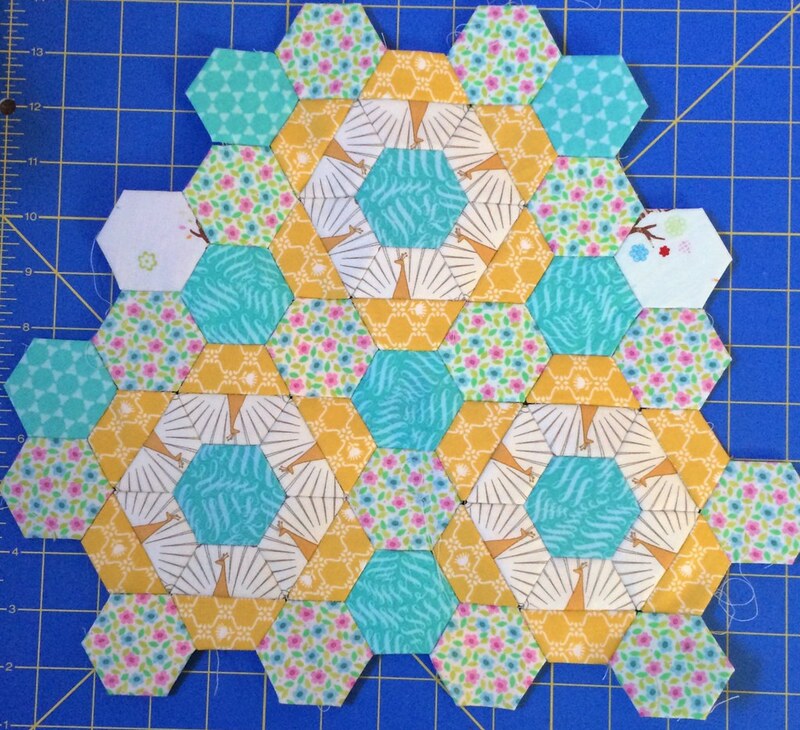 it to fusible fleece, then did some free motion quilting in the cogs, and echoed that in the background hexagons. I used a warm gold color for the thread. Then I put it together with a simple envelope closure. 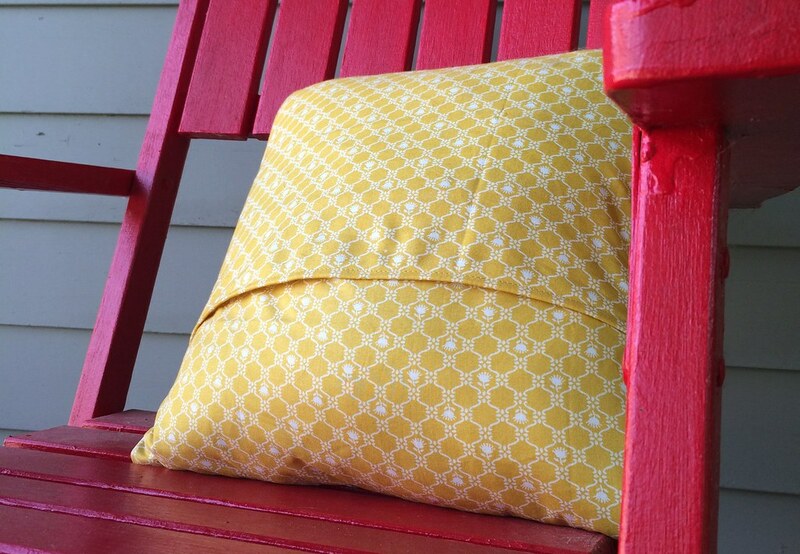 I used the mustard yellow print from Glamping as the backing because it's a sweet print in one of my favorite colors. Also, it matches my couch. Which is important for a pillow, right? 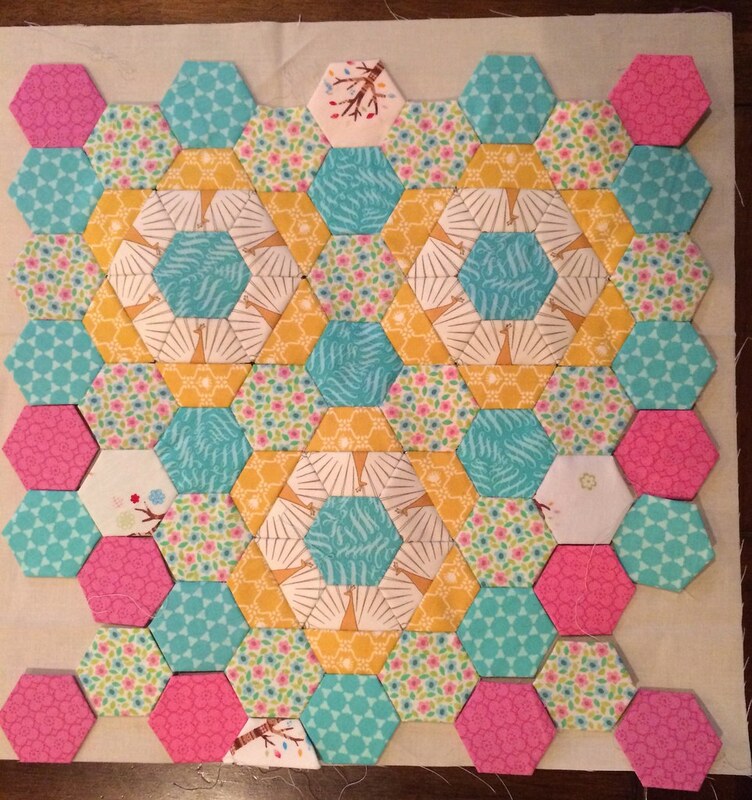 I've been working on a third English Paper Piecing project while being a passenger on a road trip (road trips! it's sort of a theme this summer, apparently), which I finished up today, and pulled the pieces out of! Yesterday, I cut its replacement, because if there is going to be time for me to sit around in a car, I want to be ready! I'm very excited for these, and can't wait to share them! And as always, you can see sneaky peeks on Instagram. So, anyway, with that finish, I have seven projects to baste, and that needs to start happening now. It's not my favorite step, but I can only track six projects, after all!